Casino Games Party | Cleveland, OH – PCI Entertainment Inc.
PCI Entertainment Inc. has perfected fun money casino parties. Our game show parties are a great way to bring people together. The thrill of the race comes right to your choice of venue with the help of PCI Entertainment. Have an idea for a special event? Bring it to life with the details that only PCI Entertainment can provide. YOU BRING THE GUESTS…WE BRING THE FUN. At PCI Entertainment, we take your fun seriously. We specialize in interactive entertainment, where your guests interact with each other, become part of the overall experience, and have an uproariously good time in the process!! Let us turn your next gathering into a truly memorable event. Casino parties are our specialty for which we have won several national awards. We feature over 20 different types of casino games on full-size casino-quality equipment, and a complete trained, experienced, and friendly staff. Want to step it up and include a Keno game with a new car or $100,000 as a top prize? . . .we’ve done that. How about a Texas Hold-em tournament for 400 players? . . . done that too. A slot-machine tournament with real slot machines and tournament software? 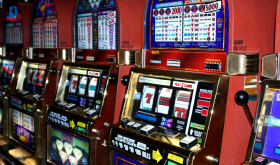 – ours are the exact same machines and software used for tournaments in Las Vegas!! All events are fun-money only. No real gambling is permitted. Prefer something non casino-related? 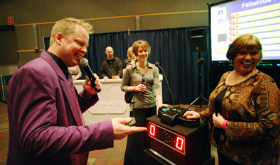 We can deliver and produce your very own game show. Maybe your own indoor golf tournament? A Day at the Derby, where guests can wager fun-money on video horse races . . . the list goes on and on. We do all types of events; Corporate parties, social events, reunions, company outings, trade shows – you name it and we’ve done it. Events can be “stock” or customized to best fit unique ideas and goals, and purely for entertainment, part of a fund-raising event, or tailored to promote your message at a trade show or training session. 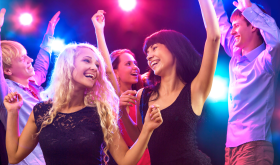 Let our experienced party planners crank up the energy and excitement of your next event With over 30 years experience in producing fun and making our clients’ events truly memorable, let PCI Entertainment make your next event a guaranteed winner!